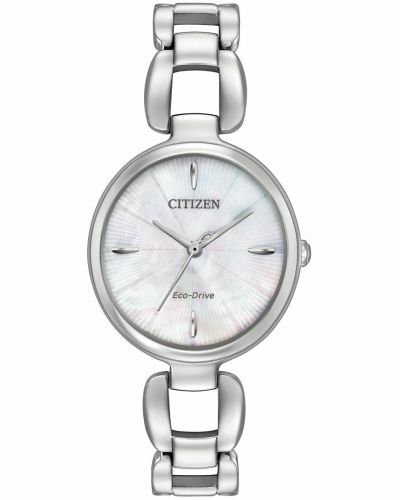 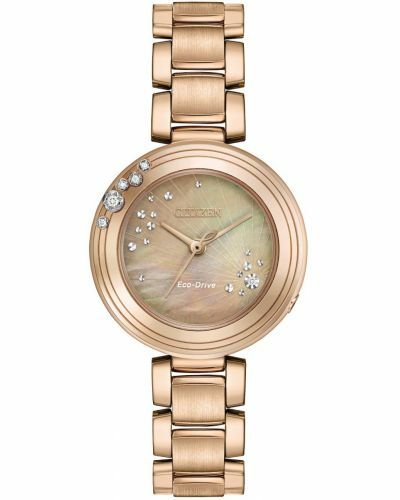 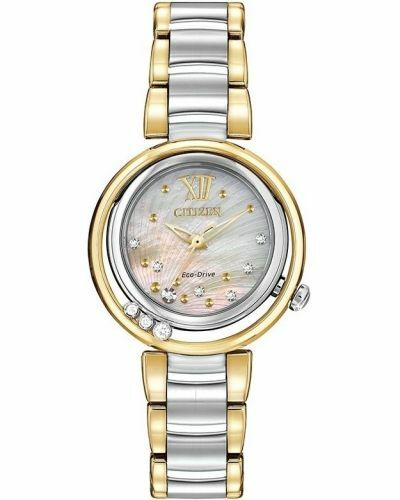 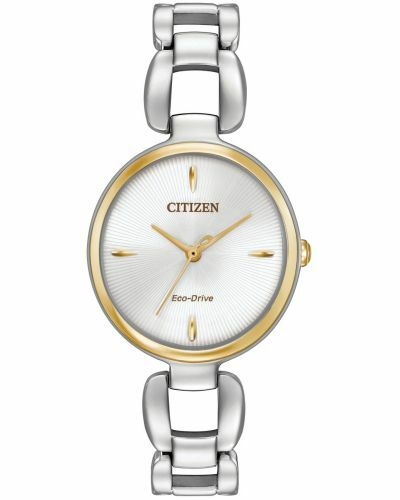 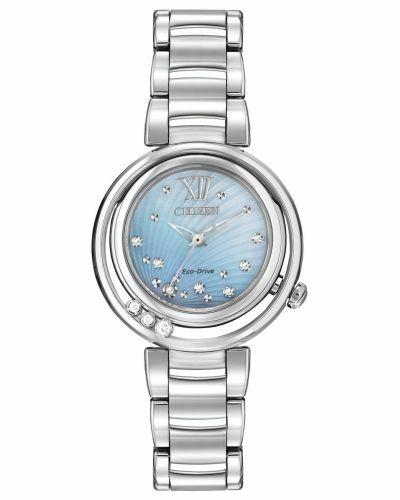 This elegant women’s watch is brought to you by Citizen as part of their L-Series. 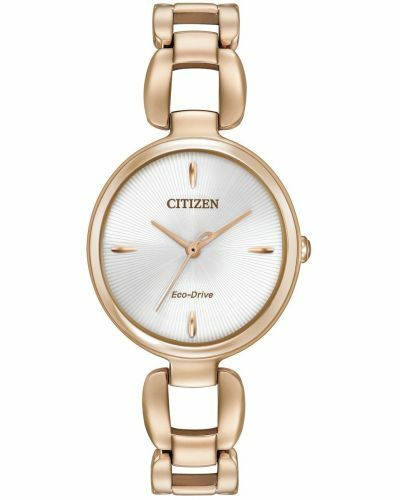 This beautiful watch features a stunning two tone stainless steel link bracelet with rose gold PVD highlights complete with a fold over push deployment closure and a stunning 32mm round stainless steel case with a rose gold bezel. 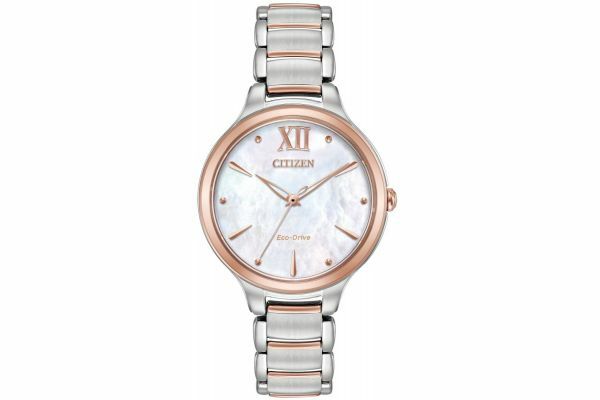 This alluring dress watch has an iridescent white mother of pearl dial, applied rose gold hour markers and simple rose gold batons. 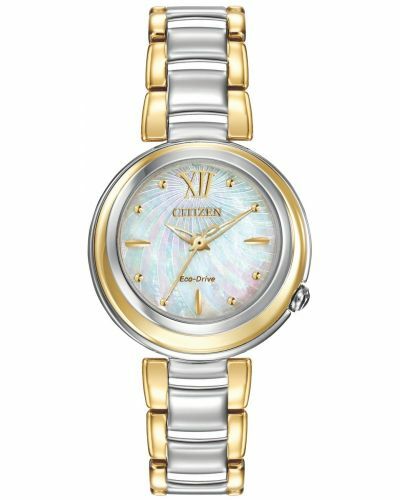 Powered by Citizens patented Eco-Drive technology and protected by scratch resistant Sapphire glass this striking watch is water resistant up to 50 meters. 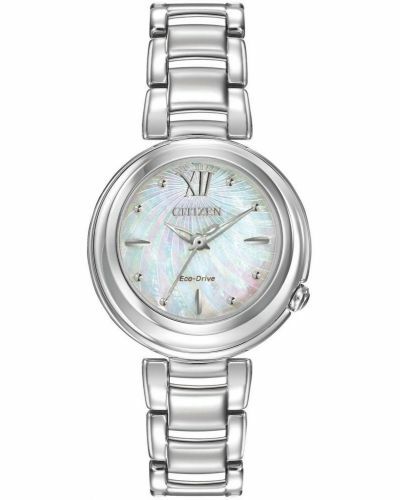 For us to size your new Citizen L-Series watch as accurately as possible, please take a look at our downloadable Watch Sizing Guide.